Undertaker vs Roman Reigns is a How I Would Book match that we have done before. We’ve discussed how these two could have had a corker of a match at Wrestlemania 30, with Roman Reigns’ elevation to the top taking a huge step forward. Now though we are on the road to Wrestlemania 32 with no clear indication about what the Wrestlemania card is going to look like. With that in mind, then there’s no harm in throwing out a number of ideas. Roman Reigns is still in a position where he needs that extra push towards being a true star. Why not give him a top Wrestlemania match with the Undertaker at Wrestlemania 32? Before we begin, let me just get this out of the way right now. The Undertaker MUST win this match considering that Wrestlemania 32 is being held in Dallas, Texas and having Reigns beat the home town hero Undertaker could cause an even bigger backlash then when Reigns won the 2015 Royal Rumble. Unless you were to turn Reigns heel before or during the match, there’s little chance of you being able to pull of a Reigns victory without upsetting the masses too much. Although it’s seemingly like a weird tradition in WWE for the home town hero to lose, you cannot possibly get away with it when it comes to the Undertaker. Wrestlemania has been held in Texas twice before. In those two matches, Undertaker defeated Triple H in a really good match at Wrestlemania X7 and Undertaker defeated Shawn Michaels in their Wrestlemania 25 classic. To go from Undertaker beating those men in classics to losing to Roman Reigns is quite a step down, whether Roman would be doing it as a face or a heel. This is not like if they had John Cena beat The Rock at Wrestlemania 28 in Miami where there’s a slight possibility that WWE could have gotten away with it. Many fans are wondering if Wrestlemania 32 will be the Undertaker’s last hurrah. If Taker loses to someone the fans are against before riding off into the sunset, what a huge backlash that would cause. If this match was to go down, who should be the face and heel? For the record, I would be hugely against both men being faces going into this match as I’d prefer to have the good vs evil dynamic. If Undertaker had not “turned face” again to go up against the Wyatt Family, I would have liked to have seen him be the heel in the situation. Think about it. Undertaker helped the Authority out (whether intentional or not) when Seth Rollins went up against the Brock Lesnar. Roman Reigns is currently the Authority’s biggest enemy. So the logical solution would be to have Taker bail the Authority out again by costing Roman the title either at TLC, Royal Rumble or Fastlane. Nice and easy. However, the fact that Taker did go face again really does change things. Having Taker use dirty tactics to go up against Lesnar, then having him turning face and then to turn him again would be a little too much considering that Taker had been a face for 12 years before Battleground. I’m sure you know what I’m hinting towards and this is something which I feel WWE should have done a long time ago. If anyone needs to be the heel, it’s got to be Roman. I would have preferred the face Reigns vs heel Taker dynamic but to play it safe, Roman’s got to be the one that turns. Because of Taker’s program with the Wyatt Family, Reigns turning is the only turn which sort of makes sense. He’s been the subject to a great deal of heat from the WWE Universe and has been constantly screwed out of the WWE World title over and over. Let that be the catalyst for the program. Here’s how I’d get it done. Currently, the main event of TLC is Sheamus defending the WWE World title against Roman Reigns in a TLC match. For this scenario, that works perfectly. In a match where the League of Nations and Roman’s crew all get into a huge brawl during the match (like when the Wyatts and the Usos beat each other up during Cena’s Last Man Standing match with Bray Wyatt at Payback 2014) which ends up with Roman standing on top of the ladder. Suddenly, a bolt of lighting strikes at the top of the stage. This catches Roman off guard, giving Sheamus the opening he needed to take out Roman and retain the title. Now the question arises over who was responsible. I personally believe that the lightning bolt itself is not going to give away anything. The Dudley Boyz has a firework like that for their intro so it could easily be anyone that has access to pyro. Roman questions both the League of Nations and the Authority but both of them deny having anything to do this. They tell Roman to focus on the Royal Rumble while a new challenger has emerged for Sheamus’ WWE World title. That man is the Undertaker. Undertaker vs Sheamus is a match I’ve always wanted to see and I feel the two styles could click if given the opportunity. Undertaker takes on Sheamus while Roman is scheduled to be in the Royal Rumble until the RAW before the event where he is taken out with a chair lying next to him. He’s out of the Rumble match as Taker goes up against Sheamus. Taker is about to close the deal when the ref is knocked down. The League of Nations come out when Roman comes out. He takes out Barrett, Del Rio and Rusev and then stares at Sheamus. As Taker is going up for, Roman hits the spear on the Dead Man. Roman yells “I know it was you,” before hitting two more spears. This is enough as Sheamus picks up the win when the ref gets back up. So now Roman has already came to his own conclusion about who was responsible for the TLC incident and the attack on RAW. Undertaker is known for his usage of lightning in the past, which was the first clue. If Roman was taken out of the WWE World title picture, this would have given Undertaker a chance to get into the mix. According to Roman, Undertaker knew that Roman presented the greatest threat to him in the WWE. If Roman would have won the Rumble and if Taker would have won the title, Taker’s title reign would have ended at Wrestlemania in Roman’s mind. He believes that Taker was afraid that Roman was going to put an end to his plans to leave Wrestlemania as WWE World champion. These accusations eventually wind up the Undertaker, who turns it into a major brawl at Fastlane. These two come to blows with the rest of the locker room struggling to break up a ten minute brawl around the arena. The anticipation for these two to get it on at Wrestlemania has risen as the match is officially made by the Authority. At Wrestlemania, Taker wins. Roman kicks out of everything, including a tombstone piledriver. However, a second piledriver is enough for Taker to pick up the win. As Undertaker does his kneeling celebration at the end of the match, Roman smacks Taker in the head with a sledgehammer. During a segment which is considered sacred, Roman attacks the Undertaker giving him so much heat. This also the catalyst and a foreshadowing for Roman becoming a member of the Authority, which I would have done the next night on RAW. I believe that would be what’s best for business. However, that wraps it up for us with this edition of the How I Would Book series. I was very hesitant to put Taker over as I’ve made a big deal over how WWE needs to make new stars rather than putting over the older ones. However, I think I’ve had him get beat in such a way that he could actually gain more from defeat then if he won. Let me know what you guys think but I think I’ve found a great solution to the Roman Reigns problem and you can believe that. NOTE: If I was to keep Roman’s storyline in this scenario going, it would be revealed that the Authority was responsible for the attacks on Roman along! However, I think I’ll leave Roman Reigns joining the Authority for another time! A series of unfortunate events has caused the whole Survivor Series scene this year to be changed. Initially, it was business as usual for Seth Rollins as he was scheduled to defend the WWE World title against Roman Reigns. However, Rollins with struck with an injury which will sideline him for at least six months. This obviously put WWE in a VERY VERY sticky situation. Of all the times that a champion could have been injured, now was not really the most convenient with John Cena, Randy Orton and Daniel Bryan all out of commotion too. As soon as the news was broke by Jonathan Coachman, we got word that the new WWE World Champion would decided in a tournament. While it’s unfortunate for Seth, this could actually work in WWE’s favour in terms of turning Survivor Series into a true mega event once more. With no really major stars and no WWE World title match, the PPV was hurt to a degree. However, what was missing was made up for by the five-on-five survivor series elimination match. The five-on-five was the PPV’s trademark match so it was only fitting that it was the main event of this particular show. The Authority going up against Team Cena with the Authority out of power if they lost. This was the biggest Survivor Series match that they’d done in years and it had major implications for the WWE storylines. Triple H and Stephanie’s power in the company was in danger. This match performed in more ways than one. It gave Dolph Ziggler a truly historical moment to savour and it even debuted WCW Legend Sting. This was a special PPV in 2014. One match can really make the difference in terms of how great or memorable a PPV is. The Royal Rumble is a prime example of this. One match would be enough to peak your interest and if it delivers, you rake in the rewards. Now, there’s no big five on five elimination match as of yet. However, WWE did introduce something which once again made the PPV out to be a special attraction. 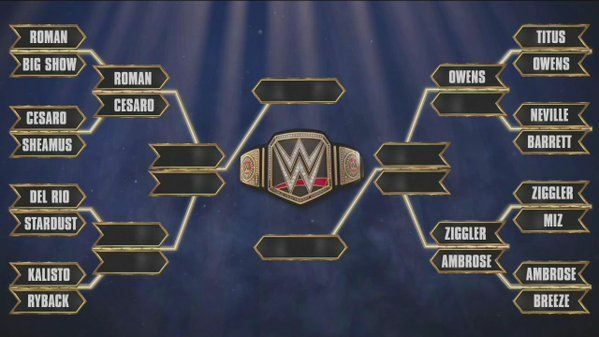 The WWE World Title tournament. What I think this does is give it a special niche that can help the PPV go down in the history books. This was the one with the big tournament final for the WWE World title. Everyone likes a good tournament and it’s not like they’re just doing it on a show like Payback. The timing was right for this sort of tournament to take place as it can help build the prestige and importance of the Survivor Series show. All of these weird set-backs and swerves have actually led to an opportunity for Survivor Series close the gap on the Rumble, Summerslam and Mania to truly becoming a major show once again. 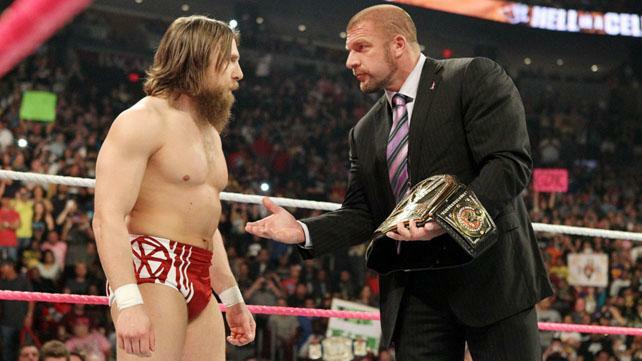 The question now remains… can WWE take advantage? Do Triple H And Stephanie McMahon As Heels Make Sense? I love a good old heel dictatorship being in charge. It gives the heroes an authority to rebel against. For every ying, there’s a yang. For every hero, there’s a villain. Stacking the deck against the good guys is supposed to help the careers of those put against the bad guys. Every win for the good guy is meaningful and every win is a win for the fans. However, does the Authority truly make sense as a heel faction and have they actually hindered the rise of babyfaces more than it’s helped? The whole dynamic of Triple H and Stephanie as heels is very confusing in itself. Sometimes, this leads to the Authority being more balanced in it’s decisions therefore damaging the image of them as a evil dictatorship. When Randy Orton and Seth Rollins were both the hand-picked champions of the Authority, little was done to actually help them remain champion. The only time Triple H ever got physically involved to try and help Randy was at Wrestlemania 30 and he failed. Triple H and Stephanie never did anything to help Seth Rollins, even when he was against Sting who they clearly didn’t want as champion… or did they? That’s the whole issue. On the night after Summerslam when Sting returned to WWE to challenge Rollins, Triple H was very angry over it. He was so mad that he gave Sting a WWE World title shot. As amazing as it sounds, that’s not the big thing as this could be passed off as Triple H making the decision in the heat of the moment. However, Hunter and Steph don’t seem to lift a finger to help Seth in his fight against Sting. In fact, they actually helped the good guy Sting at Night of Champions by putting their chosen champion Seth in a second match that night with somebody else! The Seth Rollins stuff is sort of passable if you want to go with the storyline that Triple H was just testing Seth the whole time. However, look at Seth’s opponents when he was champion. Randy Orton betrayed the Authority’s trust and attacked their golden child Seth several times. Dean Ambrose and Roman Reigns have been constant enemies of the Authority since they attacked Triple H on the night after Wrestlemania 30. Brock Lesnar defied the Authority several times and violated Stephanie’s orders when he attacked EVERYONE on the night after Wrestlemania 31. John Cena helped to get the Authority out of power! Sting played a pivotal role in getting the Authority out of power as well and has feuded with Triple H. Kane was trying to work the Authority and Seth Rollins with the split personality deal. Everyone of these men would give the Authority reasons to help Seth, but neither Triple H or Stephanie made any effort to do so. It just creates a lot of plot-holes as the Authority shouldn’t want any of these men to be champion. The reason for that is Triple H and Stephanie are trying to portray a two-faced authority figure that plays a corporate good guy but are heels deep down. That balancing act is detrimental to their character and the product itself. For example, on RAW the Authority teased a WWE World title match. They swerved the paying crowd by saying they’re going to get that match, but not that night. Lance Storm made a great point on Wrestling Observer when he pointed out that when the Authority teases the crowd for not getting more than they paid for, they go home disappointed. It’s almost like a giant middle finger to the paying audience that made the effort to come to your television show and it’s telling them to save up their money and go to bigger shows in the future where they might get more then they paid for. That’s detrimental to your live television show ticket sales as it turns a live audience off from ever coming back. A lot of you might be thinking “But Tom, they only say that to get some heat from the audience.” However, Triple H and Stephanie are both very active in making public appearances. They have to go to schools, conferences and sporting events and these promotional events are important in keeping up the image of the company. They are on the RAW segments talking about Susan G. Komen and talking about inspirational fans which is also confusing. Alright, I understand that there are certain times when the fans are supposed to tell the difference between kayfabe and reality. However, if these fans that you’ve told no to in kayfabe are the same people you have to encourage to donate to charity, it’s just going to send off the wrong message. In the public eye, Triple H and Stephanie are well received and have a good reputation. On RAW, they are both going out of their way in segments to convince wrestling fans that they are assholes. However, in order to portray the two-faced gimmick mentioned earlier they still stack the deck against the heels. All of this makes their characters very difficult to understand. One week, they are mocking the fans and their favourites like Daniel Bryan. The next week, they are putting heels like Seth Rollins in tough situations. It’s almost like a guessing game every week over whether they’re faces or heels, which is not what they should be doing. That’s not even the worst part of Triple H and Stephanie acting as “heel” authority figures. The reason Vince McMahon worked so well as the foil for Stone Cold Steve Austin is because in the end, you knew Stone Cold was going to win. He was the ultimate hero that rebelled against the tyrant Vince McMahon and Austin would always win. The fans knew that either Austin was going to get his hands on or outsmart the evil boss that everyone hates. On the other hand, the Authority doesn’t work as strongly as Vince did because they rarely actually lose. When the Authority has been in a feud, how many times have they won the war? Who has actually flat out won a feud with the Authority? Daniel Bryan? Sure, he beat the Authority at Wrestlemania 30 to win the WWE World title. However at the end of the day, Daniel got hurt and the Authority got what they wanted. Dolph Ziggler and the rest of Team Cena at Survivor Series? Nope. A month later, the Authority was brought back into power making those victories seem meaningless. He who laughs last laugh the loudest. It’s detrimental as you’ll struggle to make stars out of these babyfaces because you’re sending the message out to the fans that these good guys will never beat the Authority. You wonder why the WWE’s top three babyfaces right now are Roman Reigns, Dean Ambrose and Kane? You wonder why the top three babyfaces are two men that have never won a world championship and a 20 year veteran? You wonder why it’s three babyfaces that have already lost feuds with the Authority? Because the good guys hardly ever win against the bad guys. Good promoters shouldn’t be beating the good guys that are making money for them through merchandise. What’s weird about all of this is that this whole issue could be easily dealt with if they were babyfaces. That way, Triple H and Stephanie can be promoted as strong as they are and it wouldn’t hurt the product as they are making the popular decisions for the fans. It’d make it easier for Triple H and Stephanie to cut these promos on how great Be A Star and Susan G. Koeman are as they’re the good guys. They can give fans more than they bargained for and it’d make sense. They can stack the deck against the heel champions and it’d make sense. I’d prefer Triple H and Stephanie McMahon as heels I believe they are better in that role, but it’d make a lot more sense if they are babyfaces considering how obsessive WWE are at maintaining their image. It’s just interesting when you look at it. How’s it going everybody? Thomas Robinson here again to talk about the PWI Female 50 list. The 2015 edition has just came out as Pro Wrestling Illustrated ranked the women of wrestling to see which one reigns supreme. Recently, Seth Rollins won the men’s PWI 500 list and rightfully so in my opinion. Seth’s been probably the hardest worker of the year in the wrestling industry, with a few close challengers. However, the winner of the PWI Female list has been very controversial as a lot of people feel she doesn’t deserve it. The #1 diva is not Paige, Sasha Banks, Bayley or Charlotte. The #1 diva is Nikki Bella. I went on Twitter and wrestling websites with many fans arguing that Nikki doesn’t deserve this honour. For the record, I totally disagree with a lot of the criticism Nikki gets. It does kind of annoy me considering Nikki has come a long way since she first started in WWE. Watch her and Brie’s matches when they started at the company. She’s come a long way since those days and has certainly worked hard! A lot of the fans wanted women like Sasha Banks and Paige to be the top diva on the list. Being huge fans of both those women, I can see why they’d believe that. Sasha’s had some of the best matches of the year and those matches even surpass a lot of the men’s top PPV matches! However, I can see why Nikki was chosen instead of those women. Allow me to play the devil’s advocate for those of you unsure about Nikki. Nikki’s actually probably been the most active in WWE throughout the year, which I think is the first reason for Nikki winning it. Any former WWE wrestler will tell you the struggles of working 300 days a year, travelling around the world. Nikki’s not really had long lengths of time out of WWE being involved in the Divas title picture for the majority of the last 12 months. That factors into her ranking because she’s had to work in high profile divas matches throughout the year, which plays a big role. Especially during a time where more time and attention is given to the women and there’s a lot more pressure on Nikki to perform with these other NXT stars that were just putting on great match after great match. Despite that, Nikki’s matches with the likes of Charlotte actually haven’t been that bad. Sasha, Bayley, Charlotte and Becky Lynch have all had a lot of great matches during the year. However, keep in mind a lot of those matches happened in NXT. For the majority of the year, these women have wrestled at Full Sail University. Sasha, Charlotte and Becky are only just adjusting to a busy time on the road. Nikki’s had to just do it week in and week out for the last year, travelling around the world. That must come into play when making this list. With that being said, I know a lot of you will be thinking “How about Paige?” Paige has also been on the road throughout the year. Paige was off for a few weeks following Wrestlemania but she has been there throughout the year. As much as I love Paige, what gives Nikki the edge is that she knows exactly what her character is and is able to portray it. She is someone you are supposed to hate and she gets the heat she requires. For Paige, her character has been somewhat confusing during the year and it’s been difficult for her to maintain a substantial character. It’s started off with Paige becoming a fan favourite again after helping Natalya but somewhat portraying an untrustworthy diva. Then she started becoming more like an agent of change, standing up against the supposed tyranny of the Bellas and being OK with doing it on her own. It then led to Team PCB being formed and Paige suddenly forming pinky swears with two women that didn’t really come off as believable friends. This then lead to the eventual break up, where Paige suddenly became that untrustworthy, selfish heel again. On the other hand, Nikki’s character and portrayal has been pretty consistent… with the exception of that one month where she was a face. She’s clearly showcased as an egotistical heel with an apparent god-complex. Her kayfabe character is someone that is really not willing to work hard in order to achieve her goals and is reliant from the help of her sister and Alicia Fox. It’s very apparent that she’s a villain and the crowd reaction shows that she’s playing her character. Now obviously her crowd reaction being the closest to what it should be doesn’t mean that she should be #1 on this list. It’s about the total package. If it were me, I might have went a different way but I can still she why Nikki topped this list. She’s been one of the hardest workers for the WWE all year, forced to step up her game after seeing the bar being raised by the women of NXT. She’s doing her best. I may not have liked her matches with Charlotte at the last two PPVs but she’s still trying. Not only is she raising her game but she’s also been doing it while actually waiving the flag for the division as their Divas Champion. It’s a tall order to be a champion, particularly for how long Nikki held onto the belt. She may not have been the ultimate worker but this was quite a year for Nikki Bella.